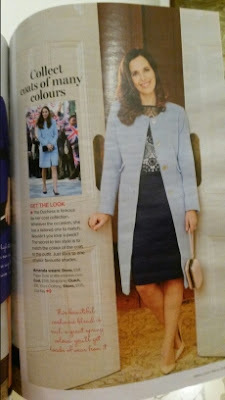 The second coat after London-based luxury maternity brand Séraphine worn by the Duchess (after the burgundy tweed bouclé "Marina", which debuted in NYC in December 2014; fellow blogger Food, Fash, Fit shared some interesting details on the "Marina" on her facebook page a while ago, well worth checking out if you're considering a purchase), the "Natasha" is part of the brand's Luxe range, launched in 2012, and is made from the most sumptously soft Italian cashmere blend fabric (70% virgin wool, 20% polyamide and 10% cashmere). The colour is described on the website as soft mist blue and the coat is collarless and features large mother of pearl buttons and faux pockets with a gathered detail. The big question of course is: would it make sense to buy a maternity garment when you're, in fact, not pregnant? Read on to find out my conclusions! Retailing originally for £175/$289/€229, the "Natasha" is still available in most sizes at time of writing and is now 20% off, priced at £140/$231/€183. You can get a further £5/$5/€5 your first purchase when you sign up to their newsletter. Delivery is by express courier, with prices starting at £4.95 for the UK and Republic of Ireland. A close-up of the back of the buttons. They're mother of pearl rounds glued to transparent shanks. I do hope the glue has staying power! The coat is fully lined in what looks like baby blue polyester, or poly-mix, although it's difficult to tell for sure as the lining composition is not stated on the label. The coat was packaged in a large jiffy bag and therefore arrived extremely crumpled, so much so that I had to take it to the dry cleaners first thing to have it ironed professionally. Apart from that, it's perfect! I had some reservations about buying a maternity item when I'm very much not pregnant, however what they said on the Séraphine website proved to be accurate: this smart coat is an elegant addition to your winter repertoire for before, during and after pregnancy. This is a style that would suit equally well a pregnant or non-pregnant wearer. I got my usual size, as recommended by Séraphine, and it fits well, if somewhat loosely around the bust. However, shoulders and sleeve lenght are just right, so I wouldn't recommend going a size down. P.S. 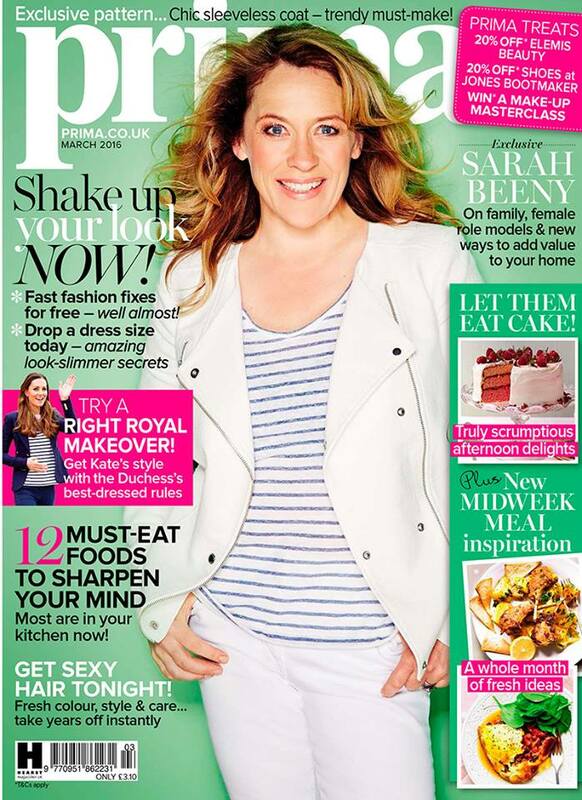 : if you're in the UK, this month's issue of Prima magazine has a great article on Kate's style, which also features the "Natasha" styled as a non-maternity garment!